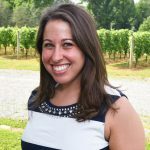 (West Chester, PA – July 17, 2018): The Chester County Community Foundation welcomes Beth Krallis as its new Marketing & Communications Officer, as Hailey Blessing departs for new adventures in Colorado. Over the past five years at the Community Foundation, Blessing focused and refined the overall marketing plan and branding; overhauled the website, and focused the Foundation’s social media exposure and print materials. She also successfully implemented major special events for the Foundation and its affiliated fundraising funds, including Sweet Charity, Legacy Awards, Stanley’s Dream, and Up On the Roof to name but a few. Prior to the Community Foundation, Blessing was a Social Media Manager and Writer for Flying Kite Media, and Marketing Coordinator for Witty Gritty. Blessing departs to pursue future career opportunities in Colorado and complete her MBA. 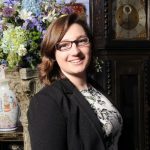 Beth Krallis stepped into the Marketing & Communications Officer role in July 2018. Prior to that, Beth served as Communications Director for the statewide Delaware Breast Cancer Coalition, handling the promotional activities of its programs and fundraisers, including scores of partnership events across the state. She has handled print and electronic media, media communications, presentations, events, and worked with teams of volunteers and interns. For 4 years prior, Beth served as Assistant to Delaware Governor Jack Markell, acting as intermediary between community, cabinet, staff, state agencies, local and federal government, businesses and the Governor. She was responsible for research and briefings for the governor, scheduling, databases, and she organized volunteerism initiatives including Delaware’s Annual Week of Service each April. Before this, she served for as a Regional Field Organizer for Delaware local, county, and statewide campaigns. She has volunteered for Wilmington Women in Business and ReadAloud Delaware.